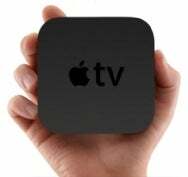 Reports around the Internet from sites such as AppleInsider, Wired and MacRumors.com are questioning if (or in the case of Wired and Business Insider, emphatically and unequivocally stating that) the new Apple TV has been delayed from its expected September arrival to mid-October. The proof? An e-mail obtained by AppleInsider that Apple sent to some customers saying that the company was refunding their expedited shipping, and ship times of two to three weeks on new orders placed on Apple’s online store. Let’s take these two items in turn. First, the e-mail. Although AppleInsider quotes the e-mail (which we haven’t seen ourselves even though several people on staff have pre-ordered with express shipping) as saying that, “due to a delay, we may have not been able to meet our delivery commitment,” the refunding of such charges is not unprecedented. In March, Apple sent a similar e-mail to people who had ordered an iPad with expedited shipping, explaining that the extra fee wasn’t necessary to ensure timely delivery. While the language is a little different in the Apple TV e-mail, I find it hard to take that as concrete evidence that the Apple TV has been delayed—even if it were delayed, why wouldn’t faster shipping still be an option? It’s more likely that it was a mistake on Apple’s part to offer it in the first place. Add to this the fact that people are reporting having their credit cards charged for pre-orders, and I’m going to go out on a limb and say the stories circulating are probably much ado about nothing.